Let’s face it: we all want to know what the secret behind the world famous Coca-Cola is. 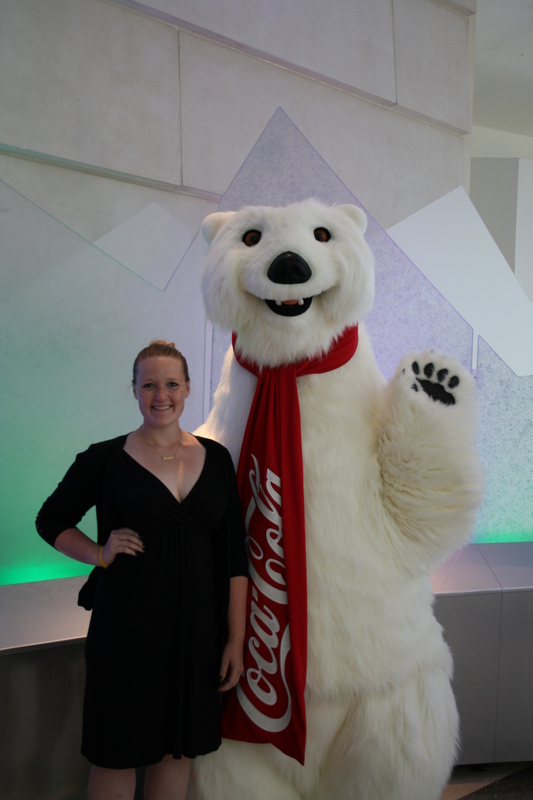 Spoiler alert: you won’t find out what it is during the tour through the World of Coca-Cola, but I became an even bigger fan afterwards. 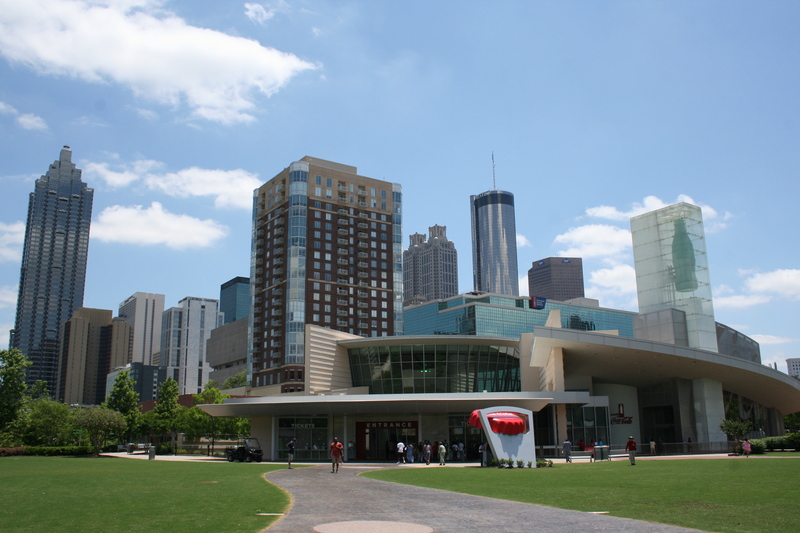 The Coca-Cola World is a combination of a museum and a showroom and is located right next to the Centennial Olympic Park. Since the Georgia Aquarium and the Center for Civil and Human Rights are next to it, you can easily do all three on one day (if you want to spent more time, you can also stretch it out of course). The museum part contains the history and the secret recipe hunt and is super interesting. The best part in my opinion is the showroom, where you can try over 100 Coca-Cola products from every continent. My goal was to try and taste a little bit of everything. Spoiler alert: I failed. There were just too many different drinks, and I might have covered about ½ of it, but then I had to stop for my own and every one else’s sake 😉 They offer a variety of tours, but the normal general admission tour is $17, which is well worth the time you spent in there. Due to studying sports management at Texas A&M University I had to visit the College Football Hall of Fame in Atlanta. It is also located next to the Centennial Olympic Park, about a 10 minute walk from The World of Coca-Cola, the Center of Civil and Human Rights and the Georgia Aquarium and right next to the CNN Center. The Hall of Fame is kind of an interactive museum. When you enter, you need to pick your team and you keep that team during your stay and need to complete certain tasks. If you like American Football and want to know more about College Football, this is the place to go. There is also a huge indoor football field, where you can learn or show your football skills. It is $21.99 and might only be interesting for people who like the game, but if you do, I definitely recommend you going there. The Philips Arena is home to the Atlanta Hawks, the basketball team of Atlanta. We already wanted to attend a match the first time we were in Atlanta, but there was no chance of getting a ticket during the play offs. This time we had the chance to watch the season opening match at Philips Arena between the Atlanta Hawks and the Denver Nuggets. I have been to a few NBA games in the past, and I have to say the Arena is super nice and the view is great, but since it was only half full, the atmosphere wasn’t what I expected. But I do think there are emotional games, when the arena is sold out and it’s getting close to play offs. The first time we went to Atlanta, we visited the Georgia Dome on a non-match-day. When we were visiting in November 2017, we went there again to see it one last time, since it was demolished about 15 days later. The Mercedes-Benz Stadium is the new home to the Atlanta Falcons, the American Football Team and Atlanta United, the Soccer Team in Atlanta. Sadly there was no home game of the Falcons when we were in Atlanta, but if there is next time, we’ll definitely go. You don’t have to support a certain team, but if you are generally interested in the NBA or NFL you should go and attend a game. Especially for Europeans the program besides the games are outstanding and it feels like an event and not a normal game. The Center for Civil and Human Rights is located at the same plaza like the World of Coca-Cola and the Georgia Aquarium and is a museum about the American Civil Rights Movement as well as the Global Civil Rights Movement. The American Civil Rights Movement gallery contains all the info and history of the 1950s and 60s. You follow the exhibition throughout the years, which contains original newspapers and motion pictures from that time and learn everything about the movement. I was moved and amazed at the same time, since I learned that in school, but reading and seeing it all in one place was a bit overwhelming (in a positive way). If you are interested in history in general and that specific topic, you have to go and visit ($19.99) the center. We found the Sun Dial Restaurant and Bar by sheer chance, when we looked for a nice bar to have a drink after eating dinner. The Sun Dial is located on the 73rd floor of the Westin Peachtree Plaza, so you also have to enter the hotel to get up. You will need to ride an elevator but this is the first cool adventure since it is a glazed elevator which gives you the unique opportunity to see the outside while going up. The Bar itself has a 360 degrees “rotation”, which means, that you can sit down, enjoy cocktails, drinks and snacks all while getting an awesome overview of Atlanta. Especially the sunset is magical up there. The prices are not cheap but absolutely ok for this locations. We only went to the Bar where they offer snacks (including salad and pizza), but there is also a restaurant, which is a little expensive and you need to make a reservation beforehand. If you want to end your evening in Atlanta with something special, I totally recommend going to the Sun Dial.